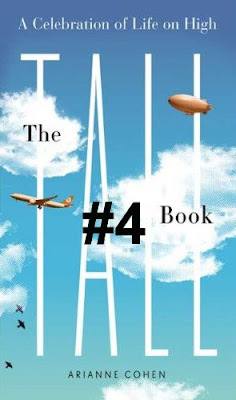 In my continuing unabashed appreciation of the “The Tall Book: A Celebration of Life from on High” I bring to you the fourth cool thing I learned in my reading. #4: Fit Size and tall clothing manufacturers. Has anyone ever heard of “fit size” before? I hadn’t. I just learned of it a few days ago as I finished reading “The Tall Book”. Apparently, it’s the base size that most companies use for their products. And by base, I mean it’s who it is designed for and look perfect on. Many of them choose the average American height for both women and men: 5’4” for women, 5’8” for men. Why is this such a big deal? As the book informs, all companies do is scale up and down based on this standard. So essentially, whenever I wear something, it’s meant to look great on a dude a foot shorter than me. That’s why nothing looks right on me, nothing looks good. And when they scale up, the top for them is 6’3”. And beyond THAT there seems to be a desire to assume as you get taller you magically get as wide a Howard Taft. Which is why there is XL and XXL which gets wider, not taller like LT (large-tall) or XLT. PLUS(!) When I put on an LT shirt, the thing practically hangs to my mid-thigh. If an average sized girl wore one of the shirts companies would like me to wear, she’d look like she was wearing a ball gown. WTF is up with that? So for more about tall clothing, tall things and the tall book click here to check out Arianne’s page. And once again, thanks Arianne for such a great book!!!! If you live in NorCal, then you know Gottchalks is going out of business. I went there to buy a few rugs (which I did at ridiculously reduced prices), but I also tried out a few of their dress shirts. None of them fit. Not a one. They had racks and racks of shirts with large enough collars, but none that were the right sleeve length. They all stopped at 34/35, but I’m a 35/36 at my shortest. I made a promise to myself not long ago to only wear clothes that fit. No more rolling up sleeps, no more saying “eh, it’s only a little too short” and feeling like I’m wearing rented clothing. No! No more! #1: If we find something that fits and is cheap, we buy it. It’s how I purchased shoes till I was 28. Why? Because clothing giants is expensive. Especially with shoes. It’s impossible to find a pair of shoes actually AT a shoe store that is any larger than 13, and 13’s are iffy at best. (I wear a 14, typically FYI). My last pair of shoes were New Balances and cost around $140. #2: Tall does not = fat. We usually have to wear clothes that are too big around the waist for us (if you are tall and thing, like me) and it looks like we are wearing our older brothers clothes. XXL = for the super fat. And LT (Large tall), is for the super giants. And nothing against them, even I get intimidated by them. But honestly, all I need is maybe 1 and a half inches to a tall shirt, not 5″. Also, finding jeans is impossible because apparently you can’t have a normal waist and long legs. If you were to roll my waist out I’d be a perect square. 36″w x 36″ L.
These are just a few of my issues. And if there is one thing I’ve learned, find all the places where sizes run just a big bigger. My suggestion: Old Navy.